Glaucoma has been recognized for several hundred years. Initially, it was defined as an eye disease of characteristic structural change of optic nerves and specific visual field change caused by increased intraocular pressure (IOP). However, when we comprehended the development and progress of glaucoma only limiting to the perspective of the eye itself, we could hardly interpret some problems we encountered clinically. For example, some glaucoma patients’ IOP is in the normal range (normal-tension glaucoma); some people have long-term IOP higher than the normal range, and there is no pathological change of their optic nerves though; some glaucoma patients have IOP controlled in normal range by drugs or surgeries, while impairment of their optic nerves and vision is still gradually worsening; and some patients with disease of the nervous system have glaucoma at the same time. Are those phenomena occasional, or are there some correlations not yet discovered? 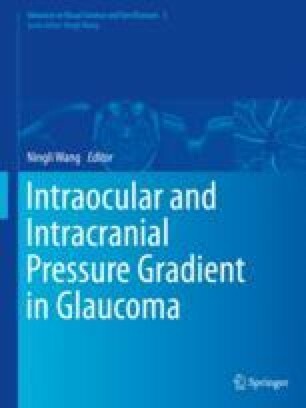 In order to answer the above questions, the ophthalmologists have expanded their vision, comprehended beyond eyeball level, and proposed an innovative theory of “trans-lamina cribrosa pressure gradient,” that a concept as “glaucoma being a disease of central visual pathway” by considering both ocular pathological changes and body fluid circulation in combination, which shall open a wide field for glaucoma study.